After surviving the hair-raising events of The Rising Force and The Dark Rival, Jedi Knight Qui-Gon and 13-year-old apprentice Obi-Wan are officially master and Padawan. The two have been sent off on their first mission by Master Yoda, who has given them a boring assignment: overseeing the elections on Gala, where Prince Beju has been forced to submit his promised throne to a popular vote. As usual for our Jedi heroes, though, nothing goes quite as planned--on the way to Gala they get hijacked to Phindar, where the evil Syndicat rules by erasing the memories of its enemies. 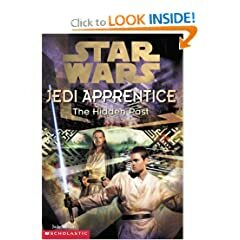 Faster than the flick of a lightsaber, master and apprentice find themselves back in hot water, struggling to help their Phindarian buddies overthrow the Syndicat crime lords. After a double-cross here and a blaster fight there, the two discover that even Prince Beju is involved in the Syndicat's nefarious schemes.